Bad smells are always bad news, but in the kitchen they are a disaster. 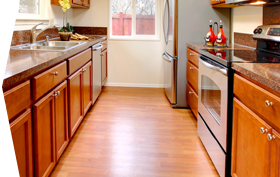 Preventing leaks is absolutely vital if you want to keep your kitchen trash under control. The secret is a strong, perfectly fitting bag. 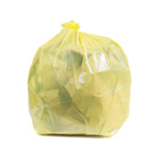 We’ve put together this collection of bags that are perfect for kitchens and kitchen cans of all shapes and sizes. Getting the fit right on your garbage can isn’t hard when you have this much choice. 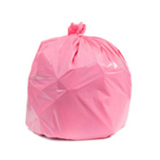 We have a huge range of sizes to offer, from small garbage bags for scraps to tall kitchen can liners and extra large trash bags for professional style kitchen garbage bags. 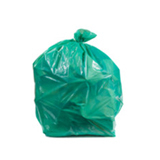 You can also pick up some recycling garbage bags to help you sort your refuse on the spot. 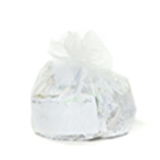 High density kitchen garbage bags are a great choice when you want to save money. They are affordable and lightweight but still strong. 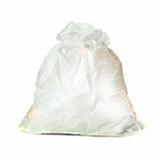 High density bags with a star seal are great for wet garbage because they’re especially safe against leaks. 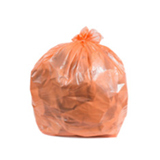 If your kitchen garbage regularly contains sharp items like bones (or – oops – broken glass) then you might want to choose low density garbage bags. They are made of thicker material and tend to do better at warding off punctures. Whichever you choose, remember that bags with higher micron and mil counts are thicker. 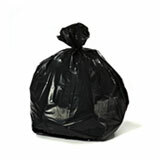 White garbage bags are very popular for kitchens, but our black trash bags look especially nice against stainless steel. 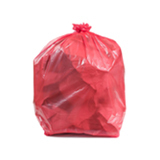 You probably go through more garbage bags in the kitchen than anywhere else in the house, so it makes sense to move to wholesale trash bags. 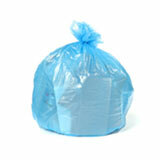 When you buy bulk can liners from Plastic Place you’re covered by our 100% satisfaction guarantee. Customer service is a huge part of what we do. 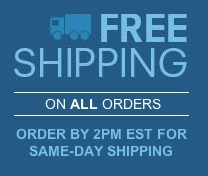 If you have questions before, during, or after your purchase, we’re always happy to help.